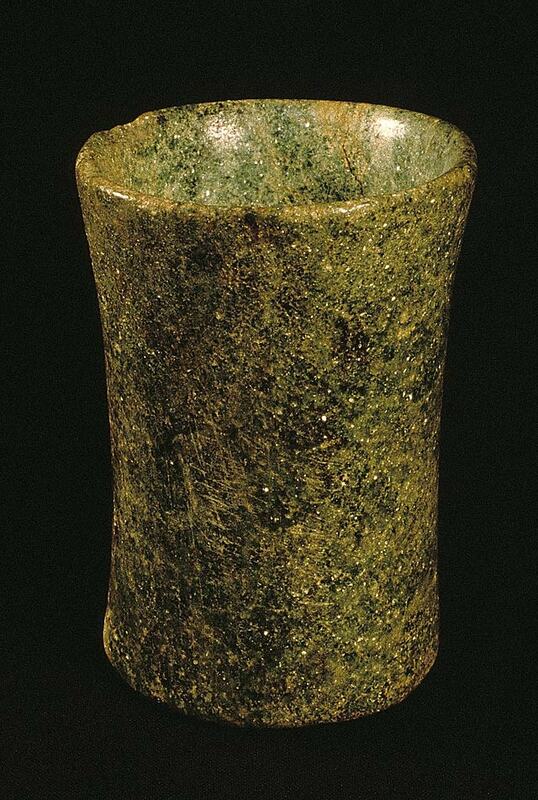 Green stone (fuchsite) tumbler from Mohenjo-daro discovered in the 1920s. Or is there any indication of war between these populations? There are Mesopotamian texts from the Akkadian period (2350 – 2200 BC) that speak about battles in which the people of Meluhha were involved. This seems kind of far fetched since the battles took place in what today is eastern Iran. There is very little evidence for warfare in the Indus, as you probably know, but still they appear to have thought they were engaged in battles with the Indus or for political reasons they found it useful to say so. But definitely the Indus people made contacts with people in their neighboring areas. They established a site in northeastern Afghanistan at a place called Shortugai where there is a lapis lazuli mine. Who were “they”? Probably traders but I say that only because the world’s largest lapis lazuli mine is nearby and clearly they settled there for that reason. There were other precious resources that may have attracted them as well. You could have a look at Chapter 7 in my book (The Ancient Indus) for more information on this. Oh, and on the Arabian Peninsula there is evidence for Indus artifacts used in trade but as well found in burial contexts. Why are they there? Some of the artifacts are cooking pots and jars used in processing foods (don’t know what); are these Harappans in Oman and UAE? And then of course, there is, as discussed in my book and as shown by Asko Parpola (the reference is in my book) that Mesopotamian texts speak of a Meluhha village. Is there a village of Indus people who moved there and became acculturated? Perhaps. Finally, they may have introduced the system of weights that even after they were gone influenced trading systems in the region.